It may be that you have to submit a paper on behalf of a student. 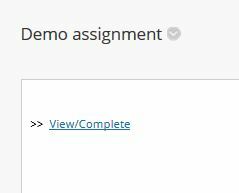 For example, a student may email their assignment to you as technical difficulties prevented them submitting to Blackboard. Firstly save the assignment to your computer. 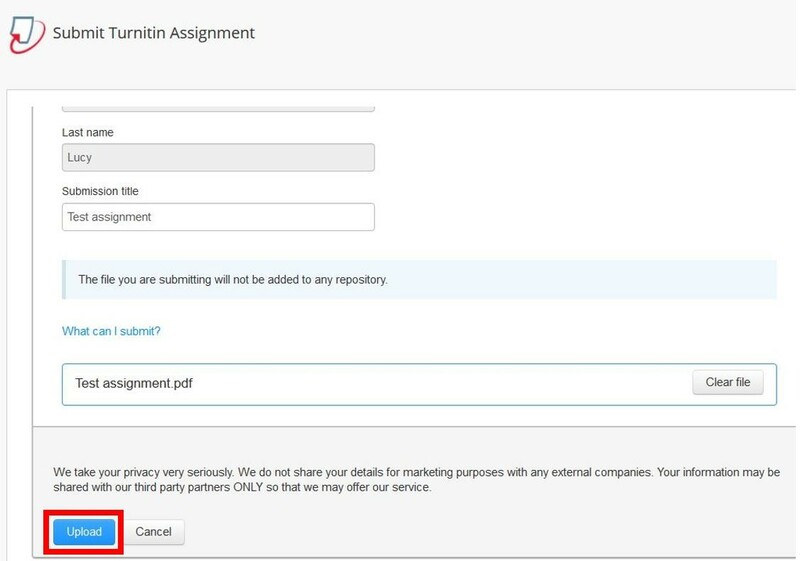 Within Blackboard go to the assigment on the content page and select View/Complete. 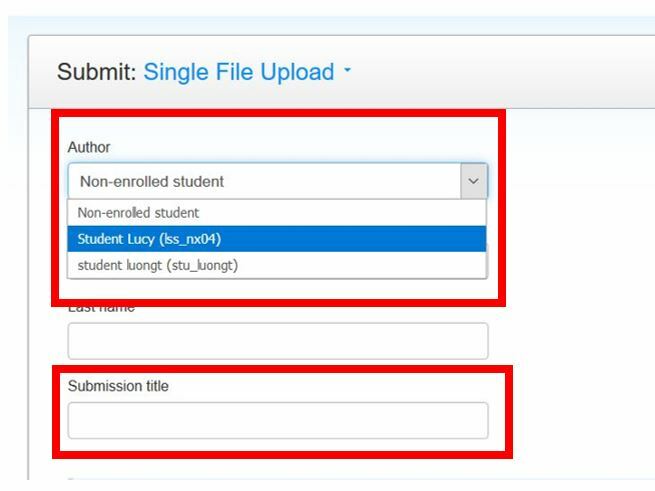 From the drop down menu next to Non-enrolled student select the name of the student for whom you are submitting. 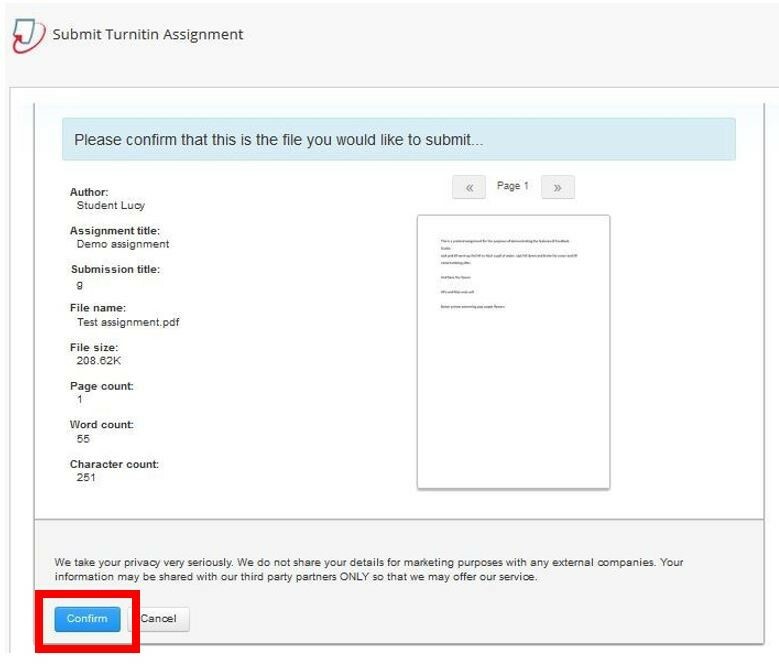 This will populate the name field and ensure the submission is linked to the student’s Blackboard account. Fill in the Submission title. Select Choose from this computer to open the file browser. 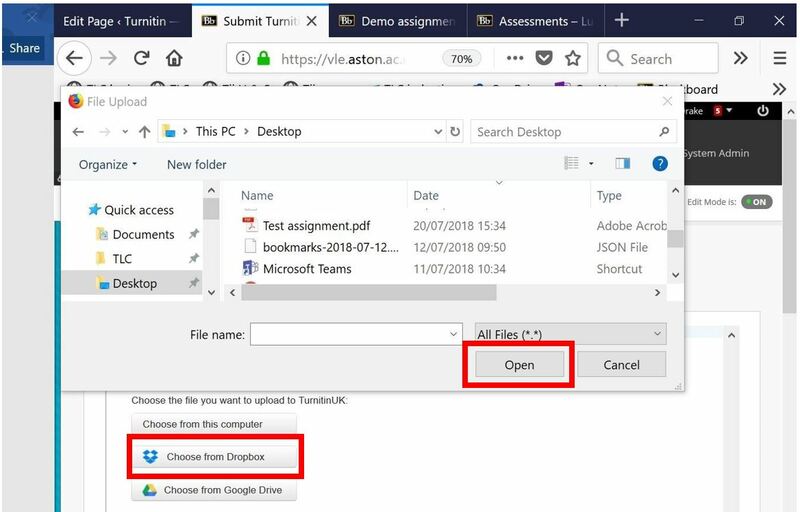 Find the assignment and click Open. WARNING You are now looking at a preview screen and have not yet finished submitting the file. Select Confirm to complete the submission. 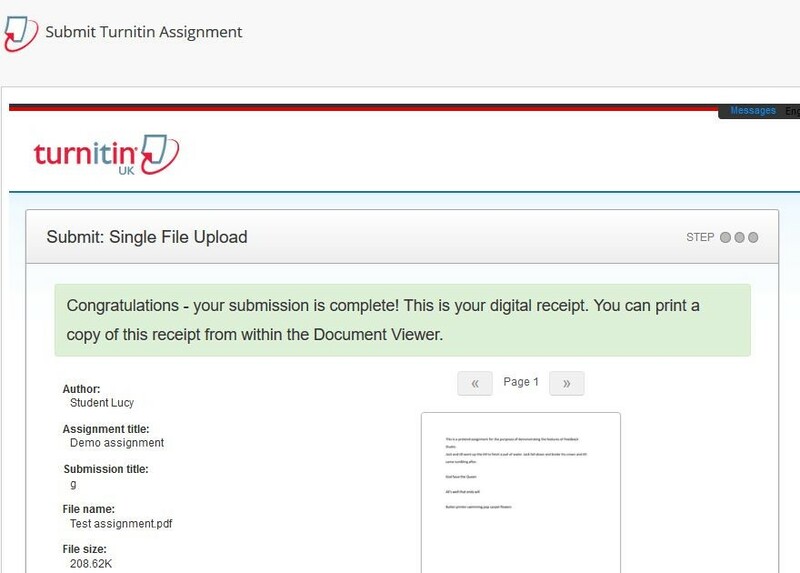 You will now see the confirmation screen including the digital receipt and the submission is complete.